Melodic dubstep and heavy electronic stimulation. 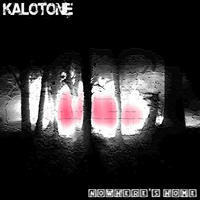 Kalotone's third album Nowhere's Home is a collection of arty-electronic instrumental compositions. Genres, tempos and vibes vary throughout this album. However, the three tracks 'Circus', 'Adapt or Die' and 'Blah' are a unique sub-genre of Drum and Bass pioneered by Kalotone that he calls 'Fairground Drum & Bass' A dark and eerie upbeat home for sinister clowns. Although this intense fairground, circus-esque theme pops up throughout the album, the end is finished beautifully with two heavenly ambient tracks to close the ride. License Melodic dubstep and heavy electronic stimulation by Kalotone for your project. Play the music of Kalotone in your restaurant or store.